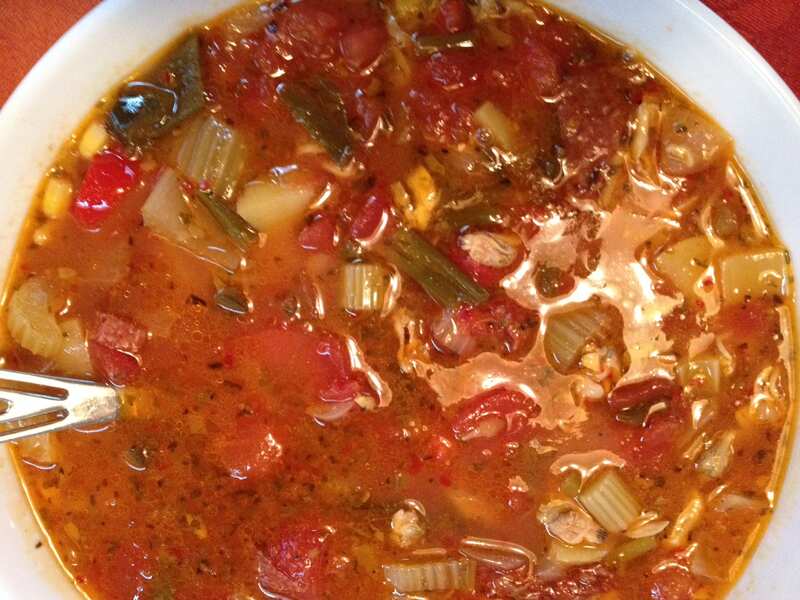 This tomato based clam chowder gets it’s kick from a few slices of Italian salami such a Genoa, sopressa or pepperoni. 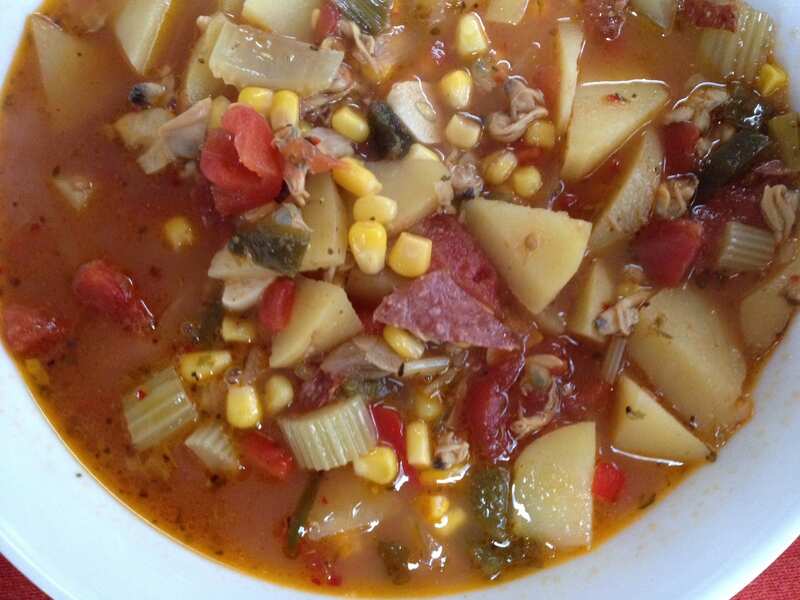 Corn kernels and golden potatoes fill out this main dish chowder, uniquely seasoned with pasillo pepper, cumin and oregano; this is a satisfying supper! My Spicy Clam and Corn Chowder is a fusion dish combining flavors of the Mediterranean with South of the Border texture and spices! Serve with crusty bread, salad and crisp white wine! This chowder is yummy, enjoy!! !